A promotional trailer for the upcoming Selbst album. 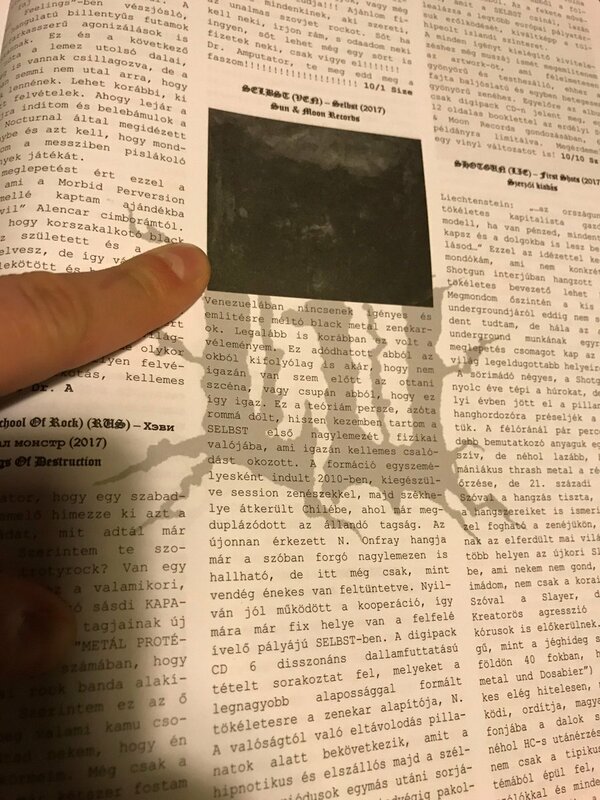 SELBST - "Selbst" will be one of the best and most interesting albums in black metal in 2017, no big words here, no pretentious wisdom, only the truth, mark our words! 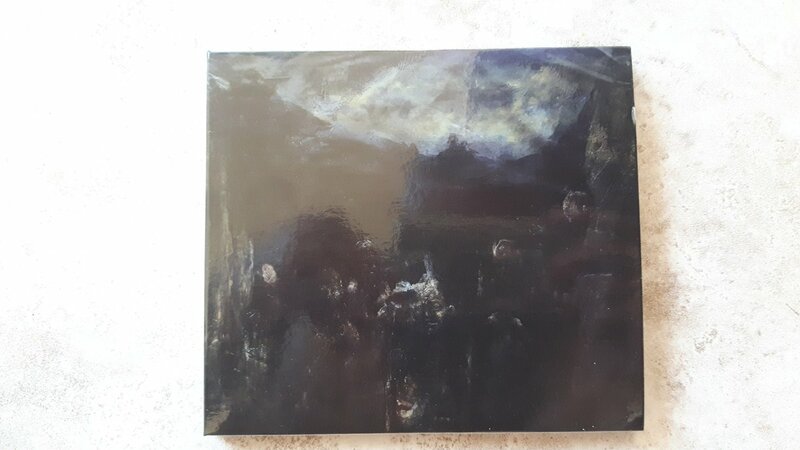 A must for everyone devoted to Black Metal Art. Started in Venezuela, now relocated in Chile, Selbst made an underground hype with the demos, EPs and splits released so far. to be released in May 2017. 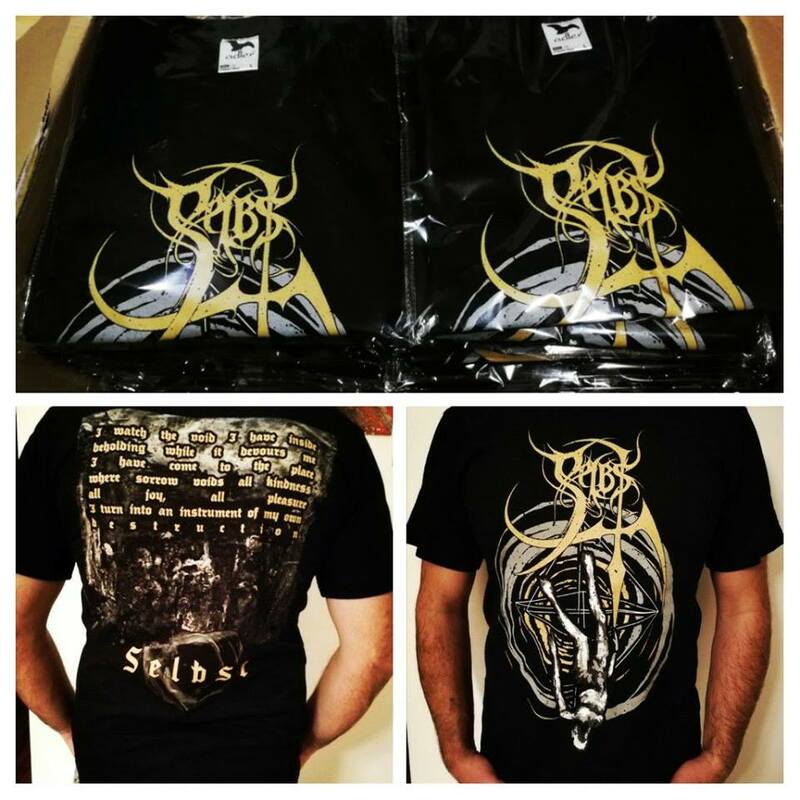 Fist Of Satan 666 has just released an interview with SELBST! the wait is over! Mirgilus Siculorum streaming one new track from the new album, share, listen! Very good for me, good balanse between melody and heavy strike. 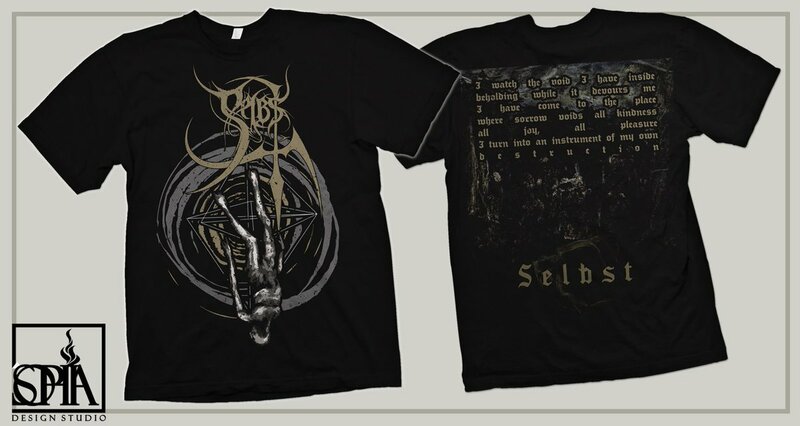 Important news: Selbst - "Selbst" the debut full-length from this amazing Venezuealan/Chilean black metal combo is under pressing in the factory, meanwhile here is this stunning lyric video for a song off the debut "Despised and Forgotten". This album will be one of the best in the scene for 2017, no big words, just listen to this song. Video once again by the talented video production company The Black Shape Of Light! "After completely blowing us away with their 2015 EP “An Ominous Landscape”, Selbst returns with a vengeance with their demoralizing full-length debut release. Featuring over 45 minutes of expertly crafted Black Metal, this release is a strong candidate for BM album of the year. 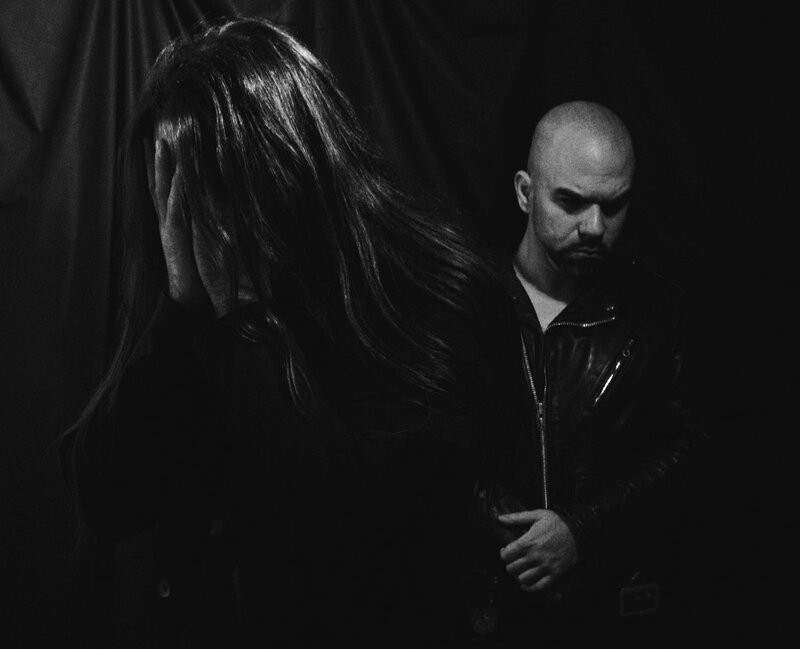 With a similar ravaging style to bands like Nightbringer and Watain, this Venezuelan/Chilean duo will ravage your speakers for months to come....Overall, Selbst has managed to deliver on all expectations and has put out one of the best Black Metal albums in the history of South America." never enough, from another source! listen & BUY MORE RECORDS! Records are better than people! 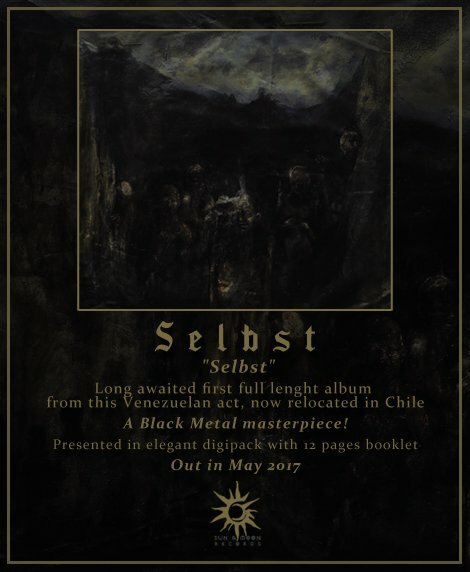 Album stream and exclusive interview with the stunning black metal outfit Selbst from Venezuala/Chile, currently turning preconceptions of South American black metal on their head. 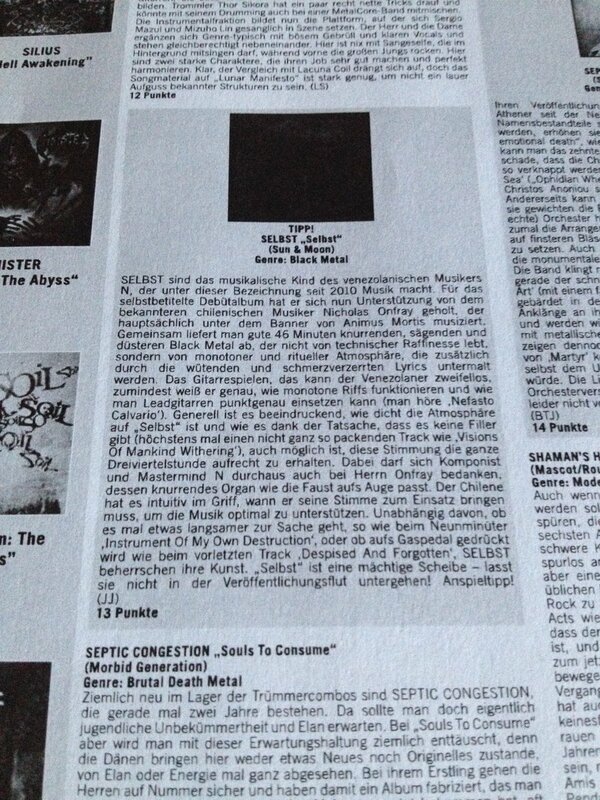 Selbst debut album review, 9/10 in HammerWorld, actual issue! 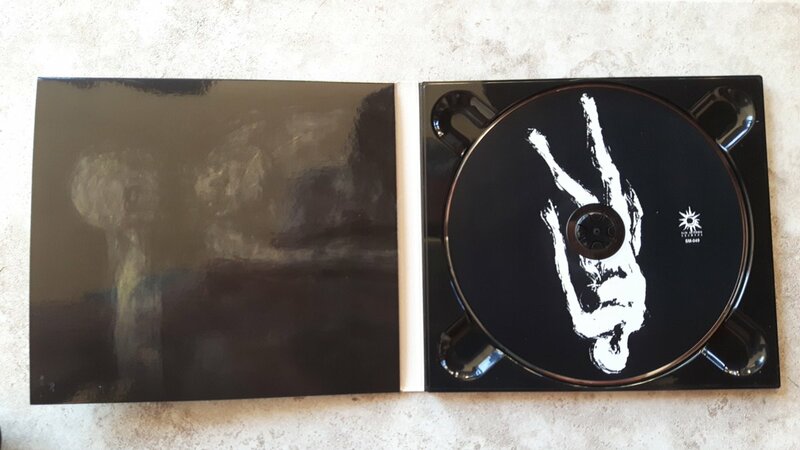 "Some of the very best black metal I've heard in a while, with a degree of raw refinement and subtle sophistication that is hard to put your finger on exactly. Richly layered and expertly composed. Very brutal yet with a restrained, natural sounding complexity. Not unlike Deathspell Omega in some vaguely familiar way. There is a large amount of skill in this work, both technical and theoretical. I absolutly love it." 13/13 in Issue # 110 of Legacy Magazine! 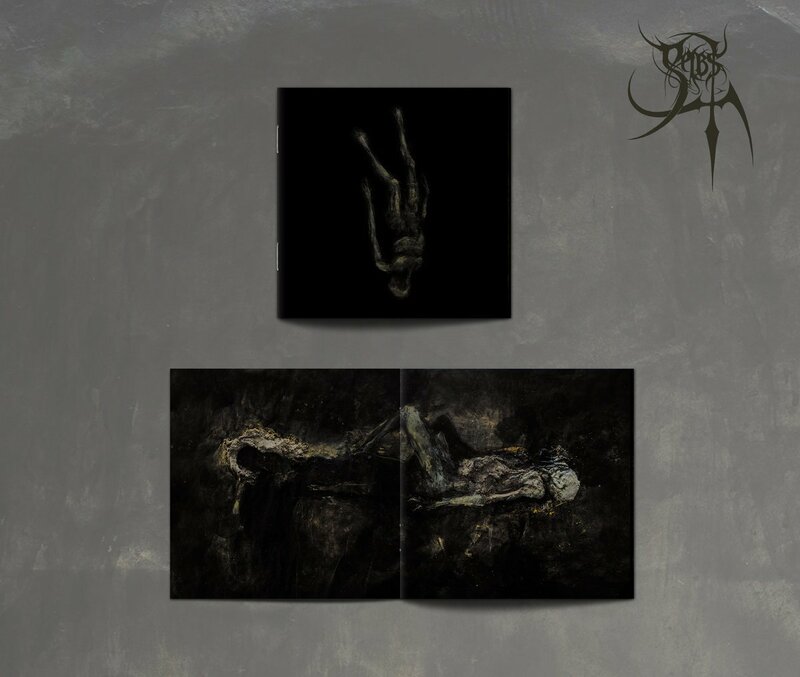 "Selbst have released a stunning debut, combining dark and occult black metal with smatterings of dissonance and heaps of melody, with the guitars layered perfectly in a fantastic production. 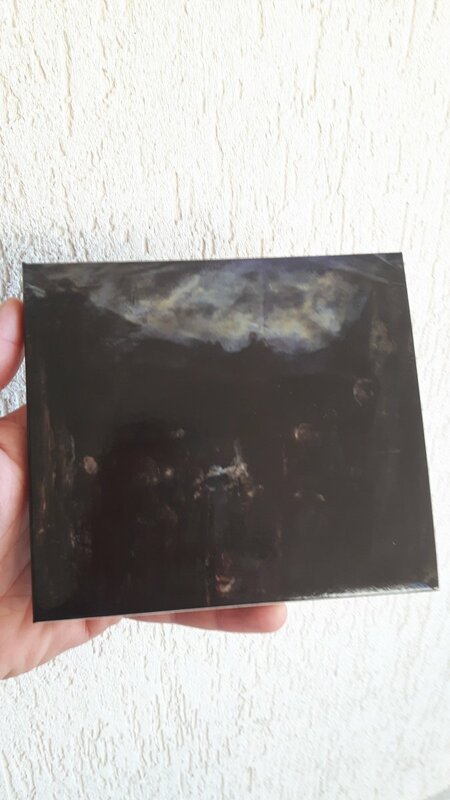 With interesting and varied song writing the Venezuelans have written one of the year’s best and most original black metal albums." This is one of my favorite records of 2017. Really a great album. Folks! 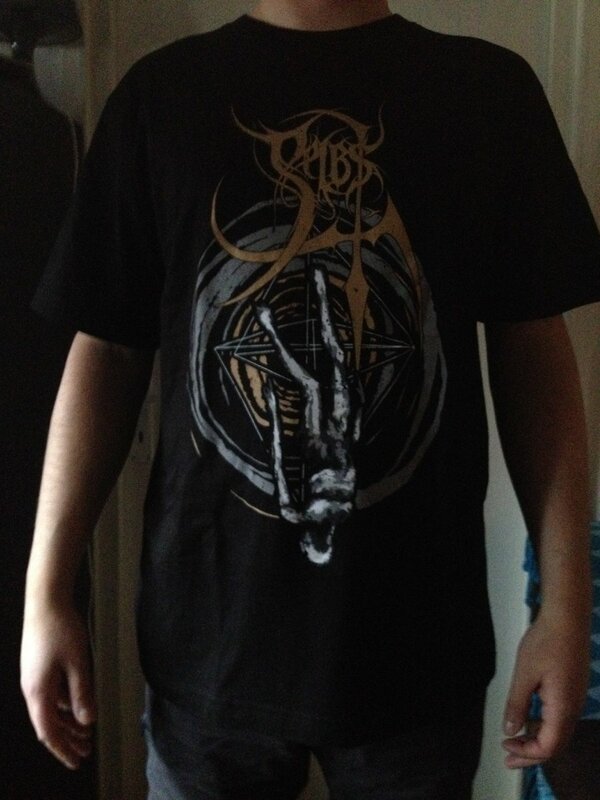 We have new Selbst T shirts available! 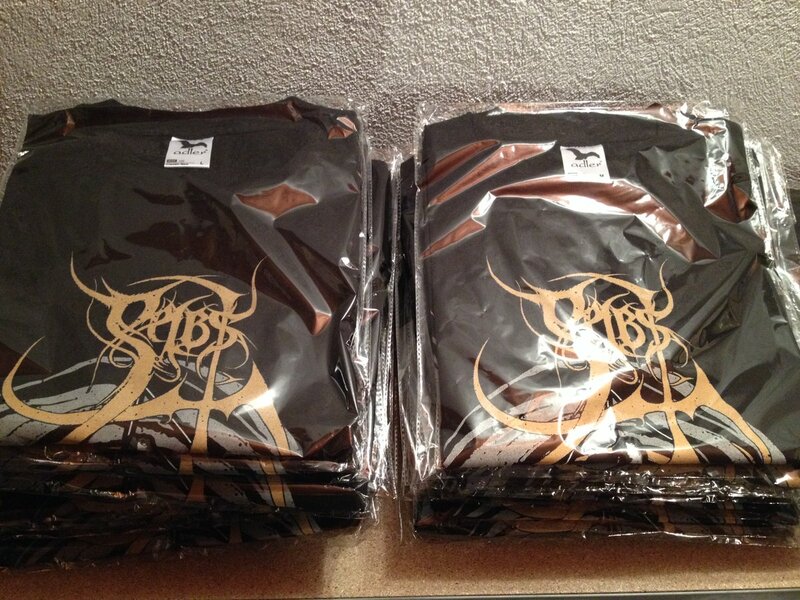 High quality Adler TS in S, M, L, XL sizes both side printed! Single copy is 15 euro + shipping (7 euro standard mail, or 10 in registered mail with tracking number + priory) get in touch! Originally Venezuelan, now based in Chile, studio Black Metal project Selbst was founded in 2010. 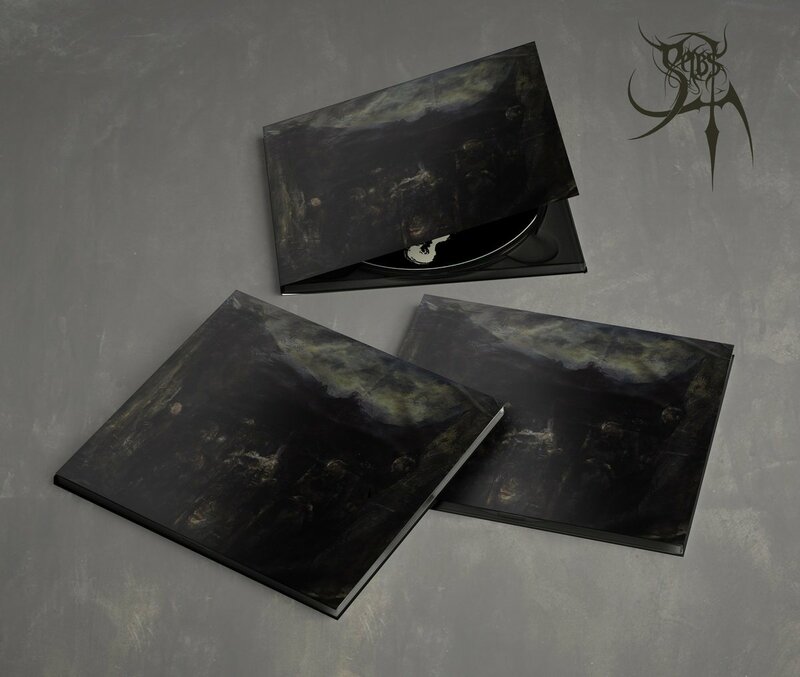 Starting with their demo “Veritas Filia Temporis” in 2011, the band has released a few splits and an EP “An Ominous Landscape” (2015) before making their full-length debut this year. “Selbst” is the act’s second collaboration with the Romanian label “Sun & Moon Records” in a row and in my opinion, this album musically marks a considerable step forward in the career of a band that from its very first record has been engaging and promising, to say the least. 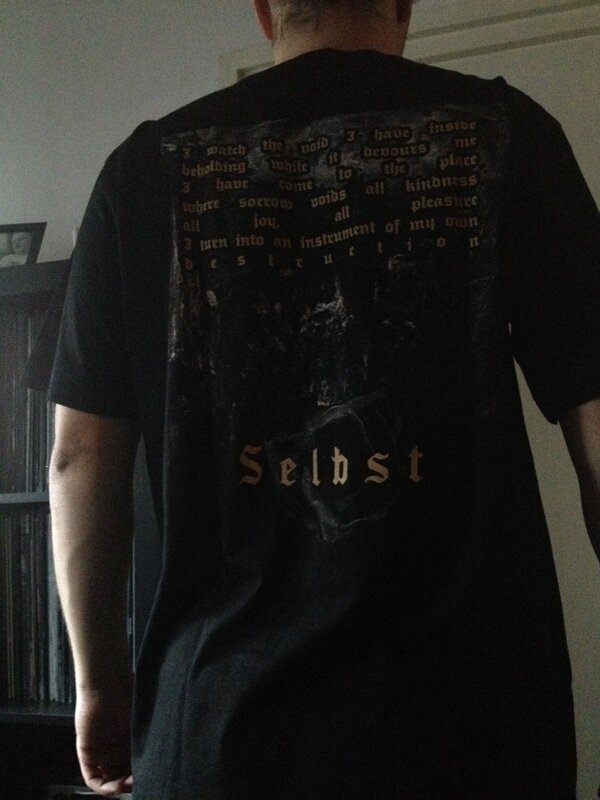 During the process of recording “Selbst”, A.M., aka Frozen, the original vocalist of Selbst (vocalist and guitarist in Spanish Aversio Humanitatis), quit the band, leaving guitarist, bassist and lyricist N, as the only remaining member of the project, to search for another suitable candidate to fulfil the vocal duties. Nicholas Onfray from an established Chilean horde Animus Mortis was the chosen one, and as a fan of the mentioned band, I can only say that it was a splendid choice. Onfray’s deep and expressive vocals suit the soulful and sombre melodies of Selbst superbly while adding a dreadful and rough quality to them. The vocals of Frozen are, by the way, heard on the album’s last track, “Nefasto Calvario”, the only one sung in Spanish. His singing is a bit more rooted in the BM tradition and sounds great on the song, but according to me the singer of Animus Mortis brings in more emotional extremity and depth. Drum work by the session drummer J.H., aka Mortem (another member of Aversio Humanitatis), is done substantially and thoroughly, with an admirable sense for detail. The moody and often melodic guitars delivered by N are, of course, the driving force of this album; they build the essentially anguished and distressing atmosphere on “Selbst”. I actually think that there’s some slightly different and special sense for sadness and misery coming from recent Black Metal bands in South America, this thought first crossed my mind when I heard Animus Mortis for the first time, and now I notice that also in the music of Selbst as well as in the album “Transformation” by Venezuelan newcomers Theurgia that came out this year. So far I can both relate to this South American sonic heartache and appreciate it. I must admit, though (possibly contradicting myself a bit), that “Selbst” now and then shares the Mgła vibe and bleakness. I would suggest N to be more confident and brave about his guitar playing when it comes to solo parts - even though they are less hidden in the production on this album than they were on band’s previous releases, they still seem lightly uncertain and shy to me. Quite frequent solos and leads are the seasoning of Selbst, they are both the sweet nuances and the character of this band; besides, I really like the tone of N’s solo guitar - no need to lessen the impact of it. If I would have to give a suggestion for an upcoming album of Selbst, I would maybe recommend to include at least one or two more memorable songs on it because after listening to “Selbst” for quite a few times, I mostly remember the emotion, feeling of it, not a particular riff or passage (“Visions of Mankind Withering”, my favourite track on the album, being an exception, I suppose). Absolutely nothing wrong with that, but strong riffs are the key to writing strong records, we are all aware of that. 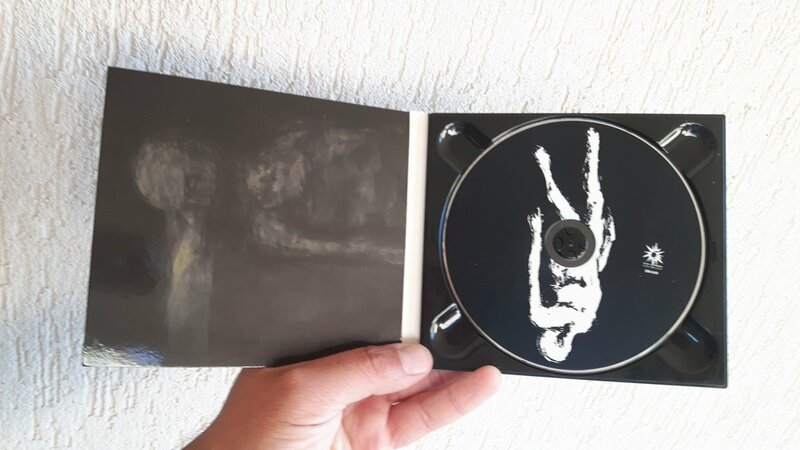 "Selbst prove that traditional black metal can be even more transcendental, emotional and high quality than the representors of the new black metal wave. Black metal album of the year. Metal album of the year. Venezuela. Selbst. Released by Sun & Moon Records."